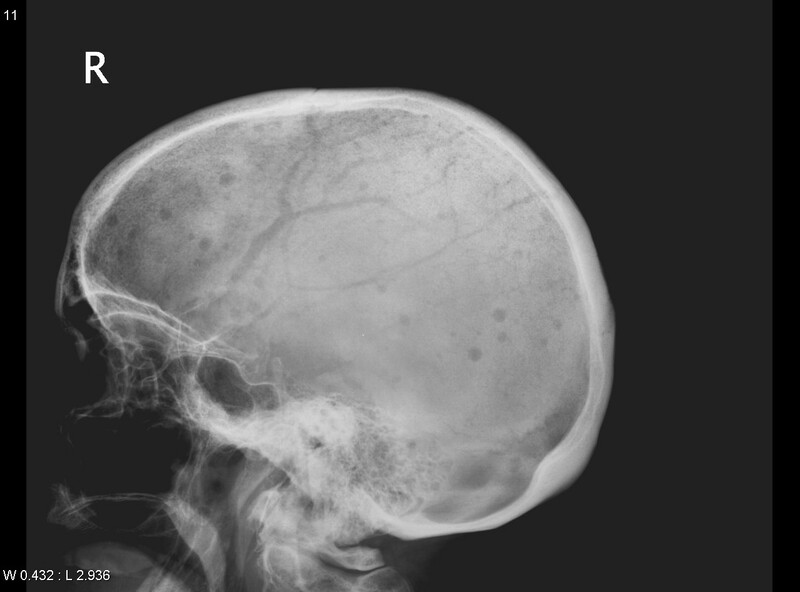 Image 1 (Plain Radiograph): Lateral skull radiograph showing typical multiple small punched out lesions of multiple myeloma. 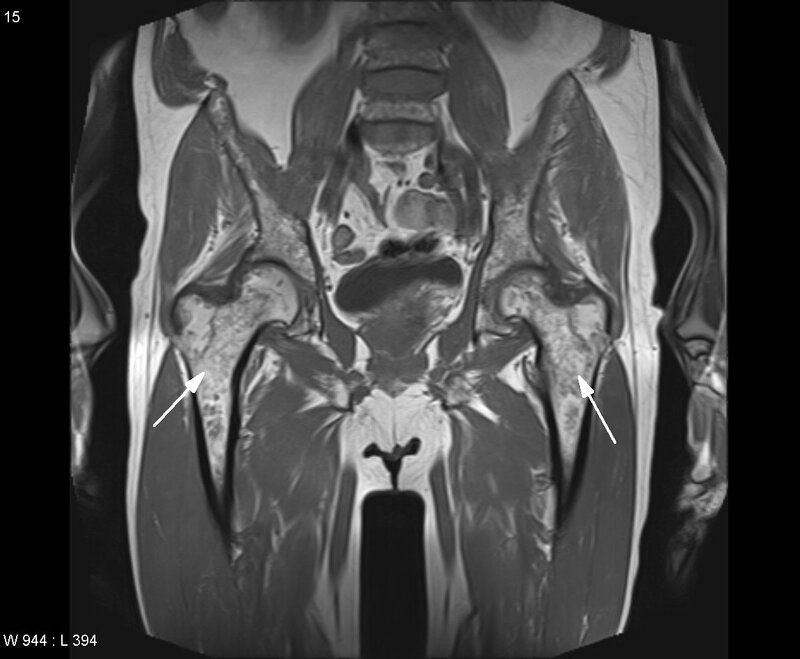 Image 2 (Magnetic Resonance Imaging): Coronal T1 image showing extensive focal areas of marrow replacement (arrows) in patient with known multiple myeloma. 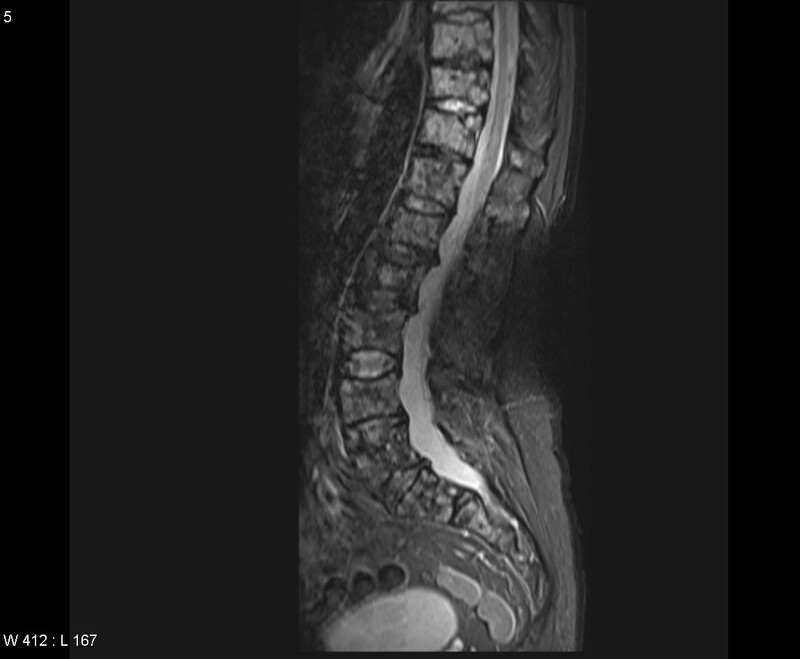 Image 3a and 3b (Magnetic Resonance Imaging): Sagittal T1 and STIR images showing extensive myelomatous infiltration of the lower thoracic and lumbar spine. 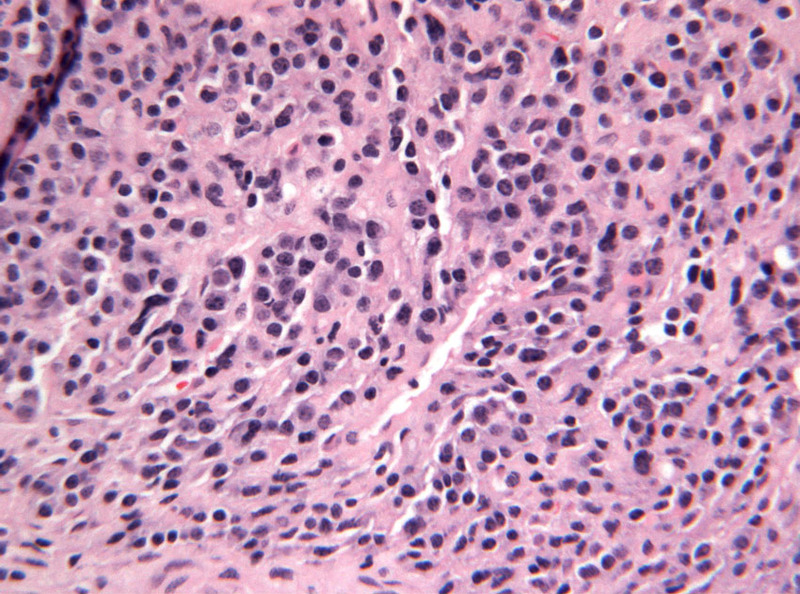 Image 4 (H&E, x10): Histological section showing sheets of atypical plasma cells with eccentrically placed nuclei, coarse (clock-face) chromatin and paranuclear hoffs. Lecouvet FE, Vande Berg BC, Malghem J, et al. 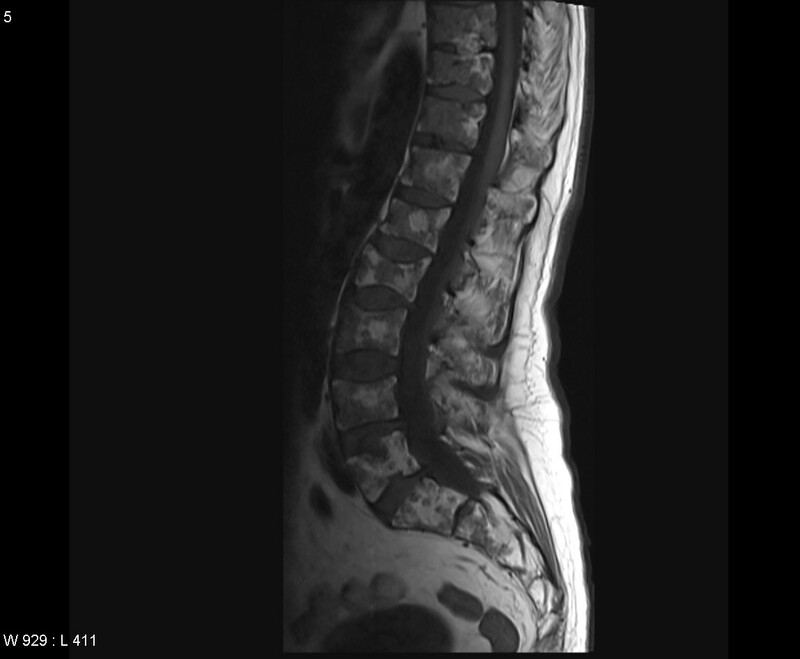 Magnetic resonance and computed tomography imaging in multiple myeloma. Semin Musculoskeletal Radiol. 2001;5(1):43-55.